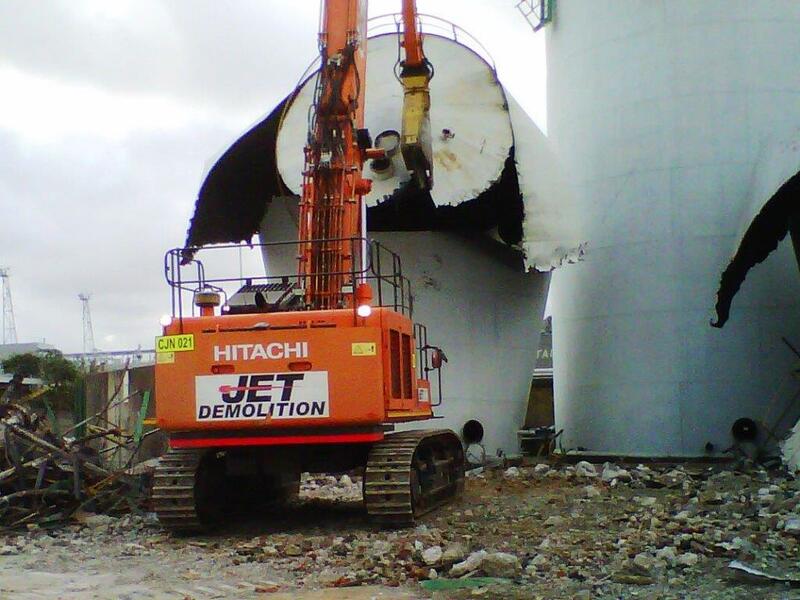 JET DEMOLITION OWNS A VARIETY OF SPECIALISED COLD CUTTING DEMOLITION TOOLS AND ATTACHMENTS SUITED TO OUR FLEET OF DEMOLITION MACHINES. 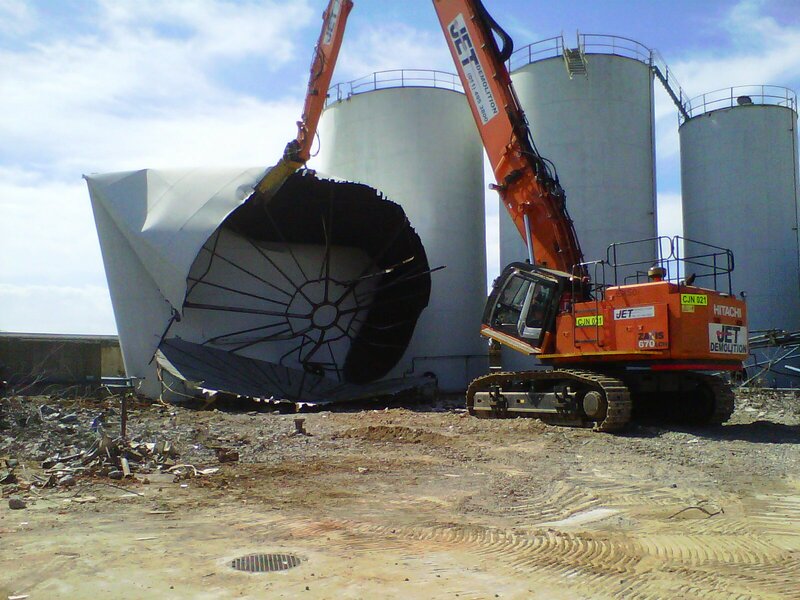 Our innovative techniques and demolition methods minimise sparks and eliminate flame cutting, thereby resulting in safer, quicker and more controlled demolition of structures in highly flammable and volatile environments. 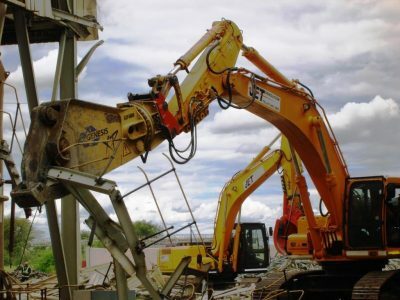 Our fleet includes a diverse selection of demolition shears and ripping tools of various sizes and weights, affording us the ability and flexibility to best manage the risks associated with demolition within flammable environments. Our demolition shears range from a few hundred kilograms to over 12 tonnes, and we are proud to own the largest demolition shear in Africa. Our state-of-the-art cold-cutting equipment allows us to continue working in the most volatile environments without affecting our Client’s operational processes. 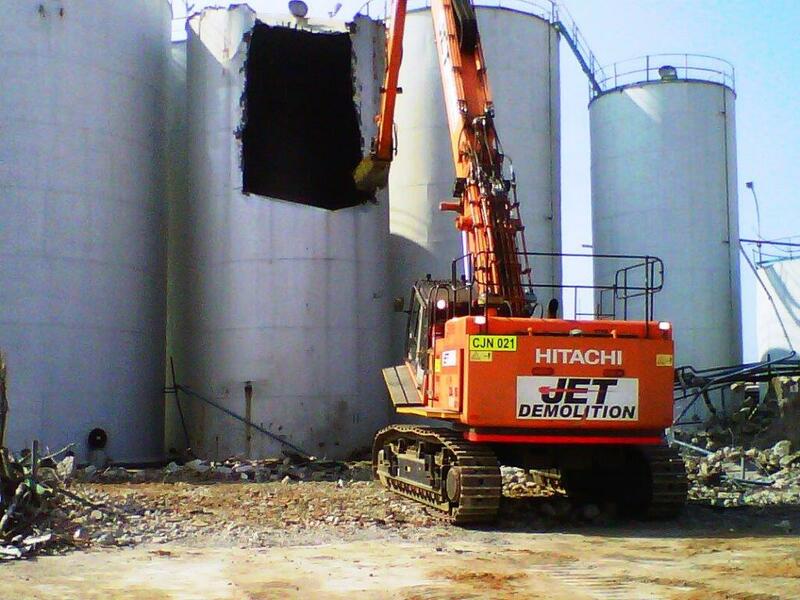 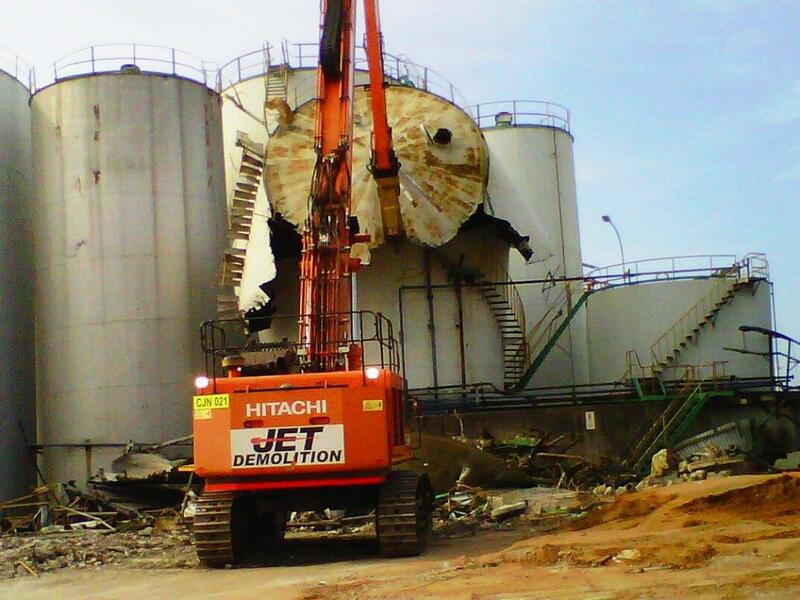 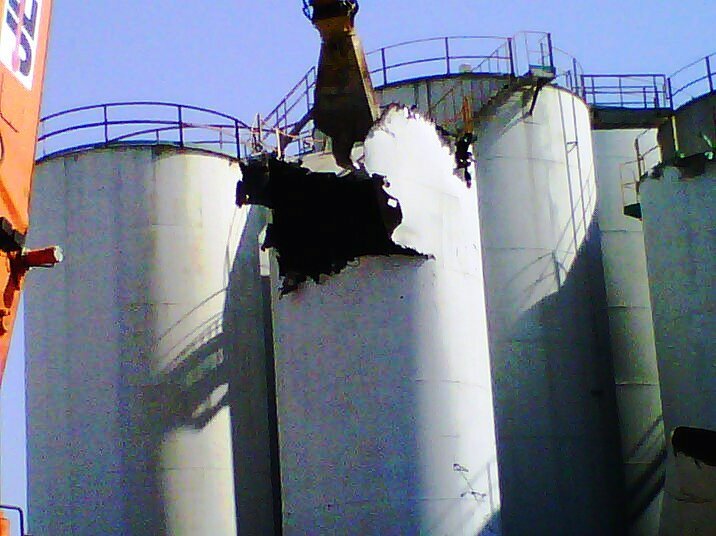 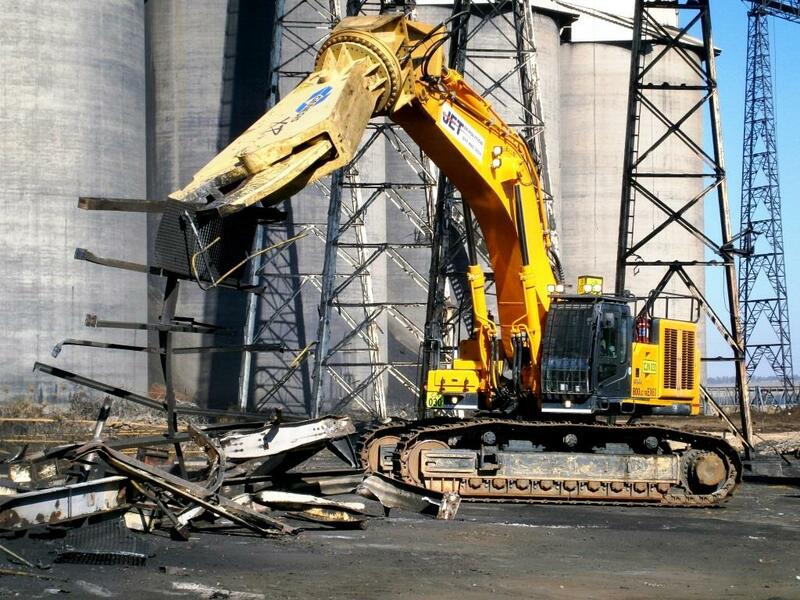 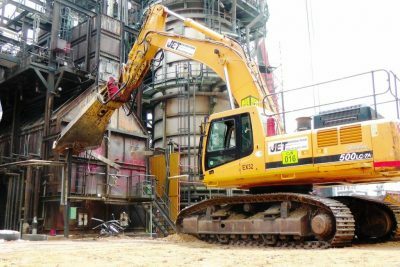 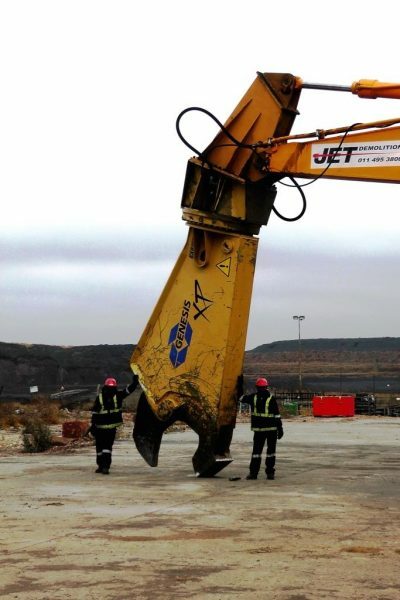 Jet Demolition was the first company to introduce this technology to the South African market, and have had continued success in the field of cold-cutting. Fuel Tanks and Storage Facilities.